There are hundreds of varieties of this super-hardy form of the classic Hybrid Tea rose, ranging in size from 3 to 18 inches tall and wide, and blooming in nearly every color except true blue. Some are fragrant, but many are not. Miniature roses need 5 to 6 hours of direct sun in a south- or west-facing window and the pot should be rotated once or twice a week to encourage balanced growth. Keep plants away from cold drafts or heat sources. The ideal daytime temperature is 70ºF and a nighttime minimum of 60ºF. Temperatures below 50ºF can stop blooms from forming. When the top inch of soil in the rose pots feels dry to the touch, thoroughly soak the plants until the water flows freely out of the bottom of the pot. Never let the pot stand in a water-filled saucer. Fertilize once or twice a month with a balanced houseplant bloom fertilizer. 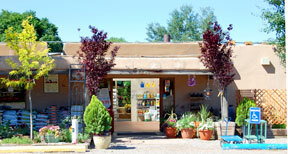 Do not over fertilize — too much nitrogen fertilizer can encourage foliage at the expense of bloom. 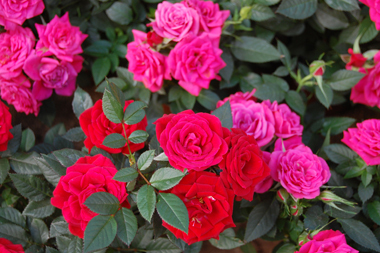 Most often purchased as a gift plant, miniature roses can be planted outdoors when the soil is warm, usually between mid May and the end of September.